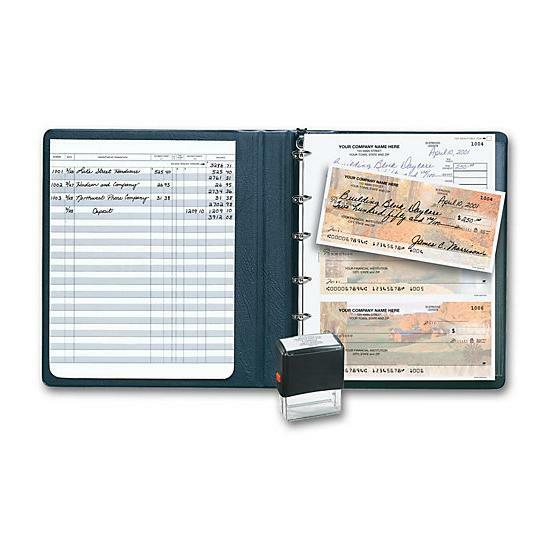 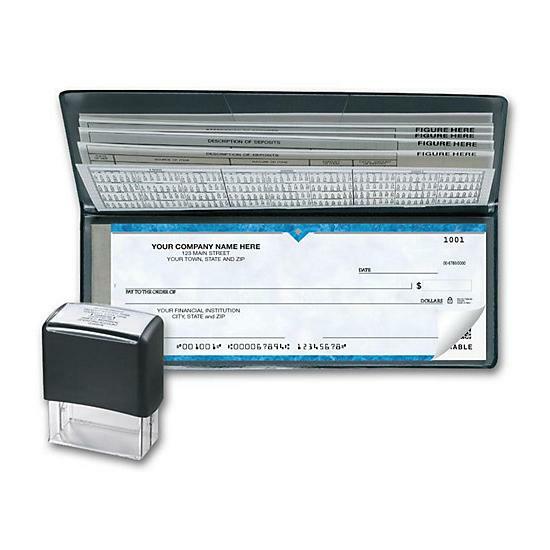 It is a good idea for a new business to get checks and the accessories that go with it. 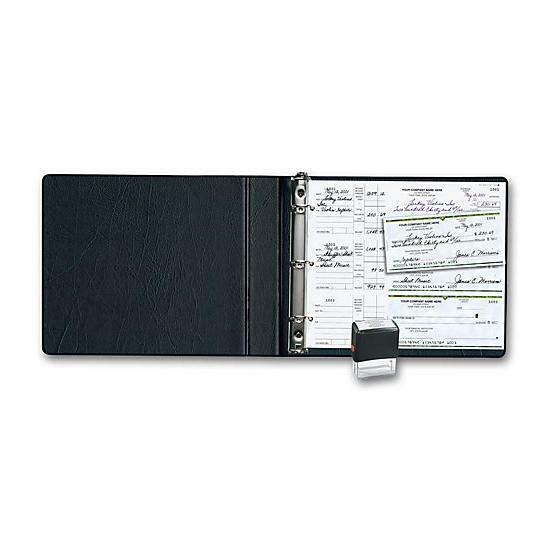 These are items like a check binder, register, stamp, seal, deposit slips, etc. 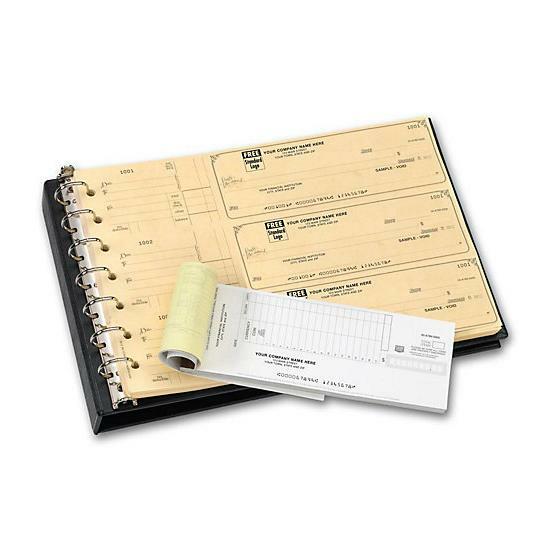 You can get them for both manual and computer/laser business checks. 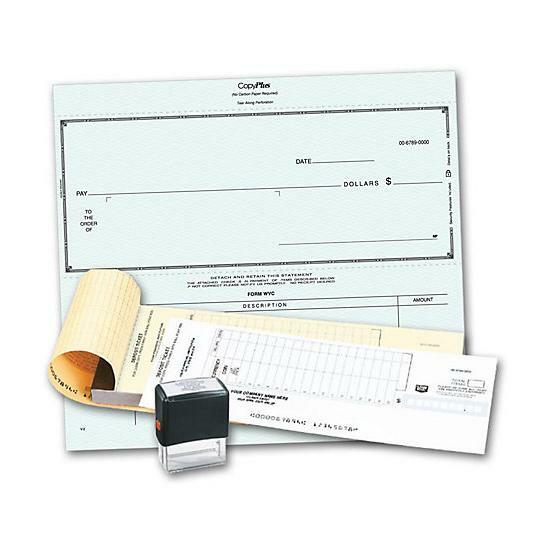 We offer w wide variety of business checks starter kits for you to choose from. 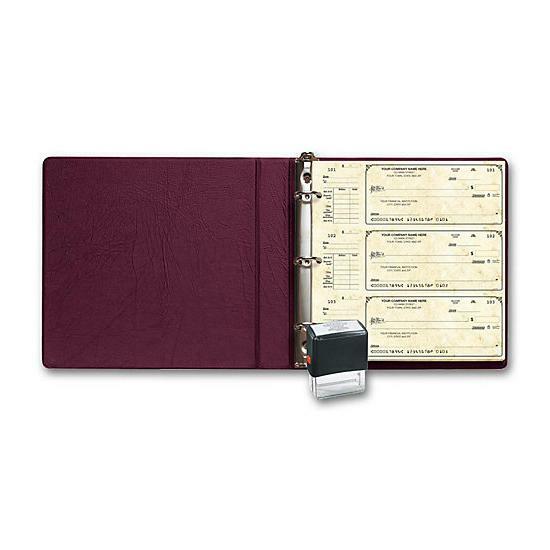 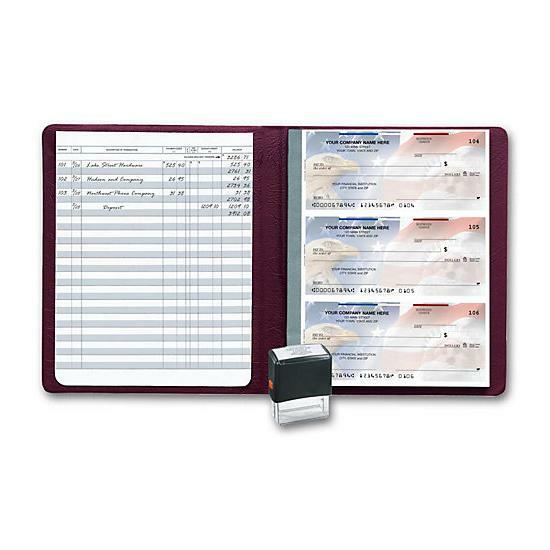 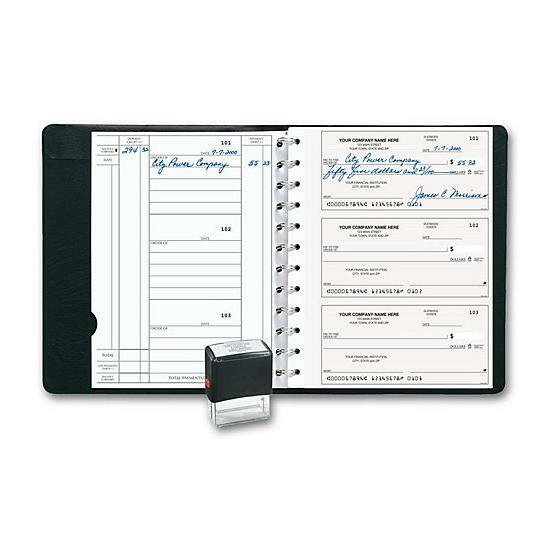 From the small single custom check with cover to the large seven-ring binder with three to a page checks. 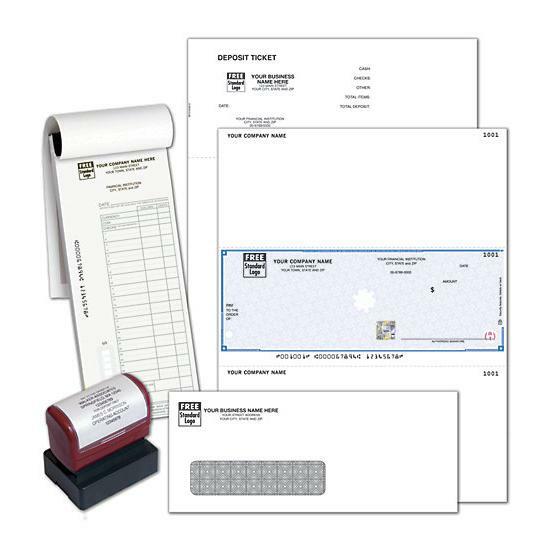 They are custom printed with your business information for consistency of the brand name. 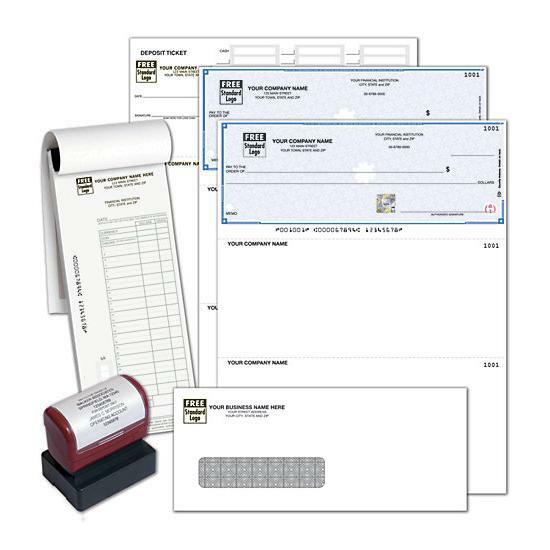 Order online for cheap prices and a quick turnaround. 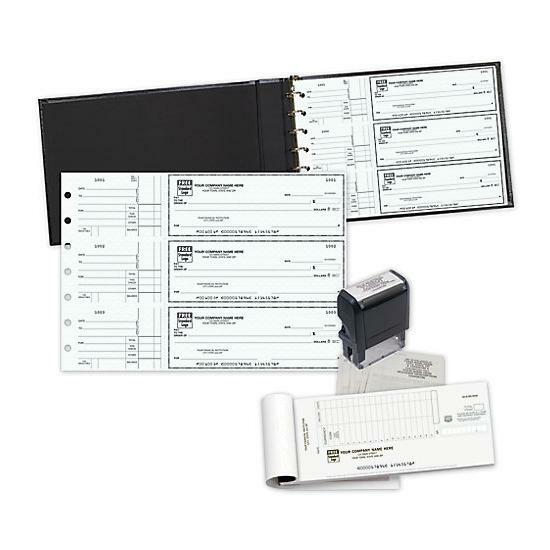 These starter kits are sometimes given to businesses who register as a corporation, by their accountant. 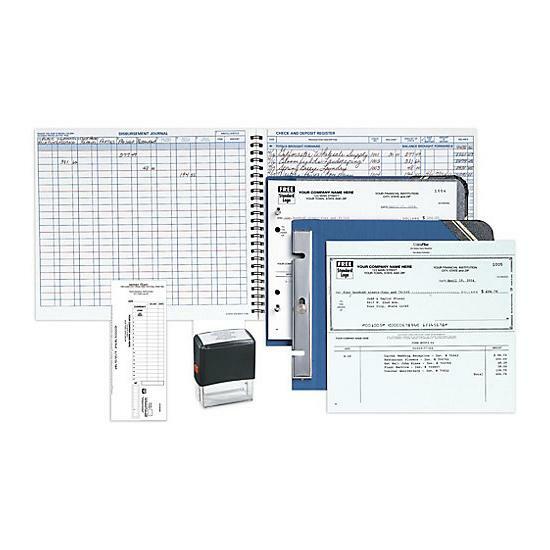 You can select a package for your compatible software like Quickbooks, Quicken, or for manual check writing. 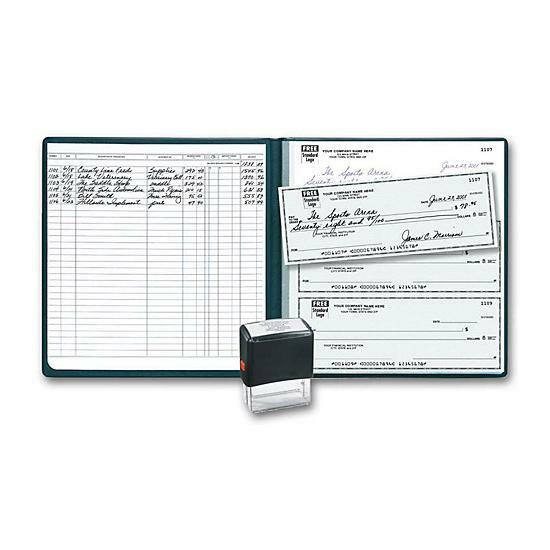 All the checks & accessories you need to manage your business expenses, payroll, pay bills, record keeping and more.